It's time for another classic comic book review from When It Was Cool. This time we are going to take a look back at the silver age classic The Avengers issue 10 from 1963. This issue is from that marvelous (pun) silver age era where both DC Comics and Marvel Comics were throwing every conceivable star character into every book and really building interesting universes. Crossovers took place in almost every issue and big multi-personality books like The Avengers, Fantastic Four, and Justice League were among the most popular. This issue teased "The Avengers Break Up! ", a dramatic tag line to be sure. Plus, the sidebar featuring "The Truly Different Villainy of the Evil Immortus!" The issue opens with a training session with Captain America, Giant Man, Wasp, Thor, and Iron Man. Captain America is on the defensive against the other Avengers and they are having a hard time containing him with Thor commenting, "His speed is unbelievable for one with no super powers!" Page two wraps up the training session with the Avengers finally containing Captain America in a whimsical sparring session and then they call their meeting to order. A common theme of both the DC Justice League and Marvel Avengers series were these monthly formal meetings of the heroes. Iron Man suggests that Rick Jones, who has been training as Captain America's new Bucky, be inducted into the Avengers but Captain America protests saying that he isn't ready to commit to that yet with the guilt of the original Bucky's death still hanging over his head. We cut scene to the villains of the issue- Baron Zemo, The Enchantress, and her henchman The Executioner. The bad guys are plotting their next attack on the Avengers and reflecting on their failure with Wonder Man who was both introduced and died in the last issue. (Obviously, Simon Williams- AKA: Wonder Man will be back in a big way). That's when, suddenly, they are joined by Immortus who appears among them. Immortus is the "Master of Time" and ruler of the mystic realm of Limbo. As always happens in these silver age issues when a hero meets another hero or a villain meets another villain- they fight! So The Executioner attacks Immortus but one of Immortus' powers is he can swap places with any figure from history (or in this case mythology) to fight his battles for him. So, he switches places with PAUL BUNYAN... so yes, we get a fight between Paul Bunyan and The Executioner. This sounds like a legit pro wrestling match from circa 1963 as well. Eventually, the villains decide to team up and they conspire to kidnap young Rick Jones and Immortus enlists the aid of historical warrior Attila the Hun and they successfully capture Jones. Captain America realizes that Jones is missing and confronts Immortus. In typical silver age style, Immortus straight up lies and the dumb hero falls for it. Immortus convinces Captain America that The Avengers have betrayed him which sends Captain America into attack against the Avengers. We then get a multi-page battle between The Avengers and Captain America before, suddenly, everyone realizes how stupid this is and confront Immortus in unison. So, I'm sure you can figure out what happens next. Immortus summons various historical and mythological figures to fight The Avengers. The first is Goliath of Biblical fame to fight- obviously- Giant Man. Merlin the Magician battles Iron Man and Thor battles Hercules. I'm not sure if this is the Marvel Universe proper Hercules or not but it looks like him minus the beard. According to Wikipedia, however, this was later revealed to be an impostor and the Marvel Universe Hercules would actually debut about two years later in Journey Into Mystery. Ain't but two kind of fellers in this fight. big ole good un's and good ole big un's. The Avengers defeat their historic antagonists and Immortus then throws Captain America back in time while Baron Zemo, The Enchantress, and The Execution watch from a highly improbable and unlikely television monitor. The Executioner burst through a door and attacks Iron Man, again pro wrestling style, and we get treated to a second battle, this time with The Avengers facing Zemo and company. The battle rages until- again suddenly- Captain America's shield disarms Baron Zemo and we find that Captain America has returned from the past! His explanation of how he got back is fantastic. Because of Judo and Karate or some such nonsense. y'all ain't gonna believe this but karate and judo saved the day. The bad guys get their collective butts handed to them and then the Enchantress wisps them away in retreat and the Avengers sit around and talk about it. The bad guys return to their hideout in the Amazon to hatch their next plot. The end. 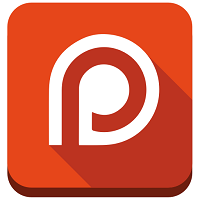 Please consider supporting us with a Patreon pledge. You not only help us grow our website but you get lots and lots of downloadable perks such as digital comics, ebooks, podcasts, audio documentaries, and much more. Take a look!